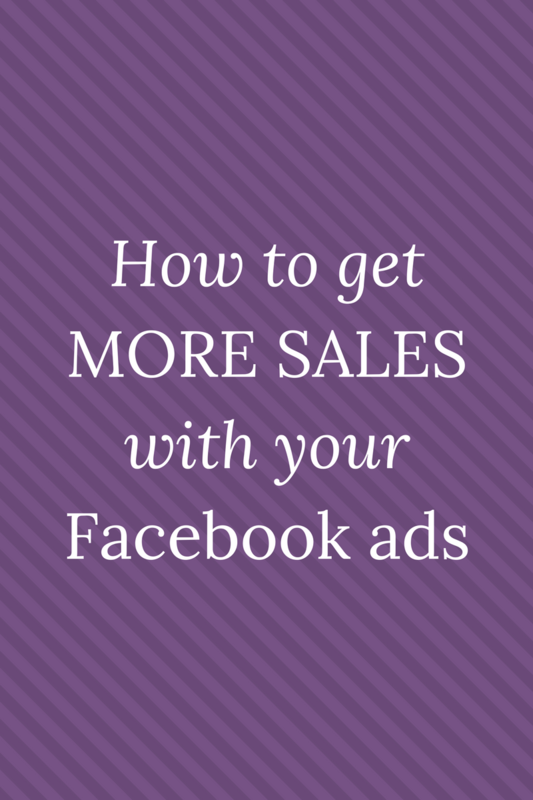 Looking to use Facebook ads to reach the members of your Facebook group? It’s a little trickier than it seems! Facebook ad targeting to your Facebook group requires a couple of workarounds to get people from your group and into a custom audience that you can use with your Facebook ads. Facebook Ads Q+A: Which is better -- image ads or video ads? The answer to this question totally depends! Learn the benefits of video vs. image ads on the vlog. I recently worked with a coaching client and helped her run an ad that received a relevance score of 10! Check out my top 5 tips to increase your relevance scores and improve your results with your Facebook ads. I just finished launching my brand new program, Attract Your Tribe. I opened it for the first time in mid-April and had 6 new members join. Then I promoted for another 10 days in late April and found 10 more members. Currently, we have a total of 16 people. And I feel pretty awesome about it. Some of the strategies that I used to grow Attract Your Tribe might surprise you, so I wanted to give you a behind-the-scenes look at how I got my program started and began attracting my very own tribe! By the way, I live journaled this inside a closed Facebook group and all of my posts and videos are still there! If you like this post and want even more details about my launch, how I handled the up-and-down emotions and my favorite woo woo tools to stay sane, you can join my group here. First, a little about the program itself. Attract Your Tribe is a monthly membership program where I give Facebook ads training, support, accountability and some fun magical stuff like meditations and full moon energy clearing. I explain this because I’m going to share some numbers with you and you’ll want to keep in mind that my members are going to pay me monthly. Which is a win-win for everyone. I get recurring monthly income (as long as they like and want the program) and they have a lower cost to get started. Starting in April 2018, this was a brand new program. I’m still in my first year of business as a Facebook Ads Specialist. I don’t have a huge list or Facebook page. In fact, these are both pretty tiny compared to more established marketers. I also don’t have a big budget to run my own Facebook ads yet. And, I don’t know if you’ve tried, but it’s hard to get many people to join a group program when you don’t have a very big audience! When you launch a group program, you might expect 2-5% of your email list to join. If that were the case, I would only have 4-6 people in my program right now, based on the size of my email list at the time. So how did I manage to get 16 members? Let’s talk about Phase 1 of my launch plan. To get my first 6 members, I sent 1 email to my list and did 0 Facebook ads. I wanted to get my first members through more personal interactions and then reinvest some of that revenue into some ads in Phase 2 of my launch. On April 8, I sent an email to my list, which was 251 subscribers at the time. I teased the new program just a bit and asked people to reply to me to hear more. This worked really well! I had 7 replies and 3 of those people ended up joining within a few days. Then I sent out personal emails to all the people who had been beta testers for my first Facebook ads course. That didn’t work quite as well as I expected. I had 1 member join from almost 50 personal emails that I sent out. 1 more joined from a post in my Facebook group and 1 more joined from a face-to-face conversation (she’s my acupuncturist!). Then, I started Phase 2 of my launch plan which was to get the word out on a bigger scale. I wanted to send more emails to my list, run Facebook ads and post in Facebook groups. On April 26, I started running some Facebook ads to build awareness of my new program. I targeted my warm audiences with a traffic ad to get people to click through to the sales page. On the surface, these did well. I spent about $20, had 44 people click through and paid an average of $.45/click. However, when I ran my report inside Ads Manager, I didn’t see any purchases attributed to these ads. Which means that no one who clicked to the sales page actually joined Attract Your Tribe. At least not yet. From April 28 - May 5, I sent a few emails to my list and mentioned the program. I also ran another ad to my warm audiences that talked about the full moon energy clearing in Attract Your Tribe. I spent about $12 and didn’t have any new members join directly from those ads. I ran some Facebook ads for the workshop. But only for a couple of days because it was a last-minute inspiration. 6 subscribers came from spending $17. The cost per subscriber was $2.81, which is pretty average. At first I felt like those ads weren’t worth it. Then I pulled my report and looked closer. It looks like 1 of those 6 subscribers ended up becoming a member a couple of days later. So, spending $17 to get 6 subscribers and 1 new member was totally worth it! The main place that I got people signed up for the workshop was Facebook groups! I posted about it in a few groups but most of them came from just one group. I ended up having 52 people sign up for the workshop! That was huge list growth considering I only had 251 people when I started. So, then I did the free live workshop and sent out the replay. I had 5 people join Attract Your Tribe who joined my list from the workshop promo. 5 people out of 52 signups is almost a 10% conversion rate! Whoa! I just calculated that and didn’t even realize how effective that was. I’m DEFINITELY doing more of those workshops in the future. I ran more ads for the last 2 days before I closed enrollment. I spent $20 and had 2 people join on the very last day it was open. Finally, my ads worked like I hoped! In those last few emails before I closed Attract Your Tribe, I had 3 more people join who had been on my list for a few months and decided to jump in while it was still open. And then, I had 2 more people join who weren’t on my list originally or signed up for the workshop. These came from a referral from a business coach who I met in a Facebook group. Ok, so that was an idea of where my 16 came from. My last 10 members came in at the last possible moment! I did all these ads and ran the workshop and posted in Facebook groups from April 26 - May 4, and I didn’t even get one new member. I started to get worried. But then, it all turned around! Suddenly, I had 10 new members join from those efforts and it all turned out to be totally worth it! So, here are the totals from my launch. Keep connecting in Facebook groups! Most of my new email subscribers and the majority of my new members came through relationships that I developed in Facebook groups over the last 3 years. Keep doing those live workshops! That workshop was fun, easy and had a great conversion rate. I’m definitely going to do more of those in my next launch. Keep testing Facebook ads. My ads were worth it in the end, but didn’t convert to buyers until the very last day. I worried that I wasted that money and wouldn’t make anything back! But I just needed to be patient. I invested $68 and had 3 people join after clicking on an ad for a total of $165 in revenue. My Return On Ad Spend was 2.43, which means I made just over double what I spent. And, that’s ok. I usually try to shoot for a 4+ on ROAS, meaning that I want to earn back 4 times what I spend on my ads. However, the news gets better when we consider that this is an ongoing program. I’ll make $165 each month as long as those 3 people stick around. So, then my ROAS is pretty phenomenal! If they all stay for one more month, my ROAS will be 4.85. If they stay for 6 months, my ROAS will be 14.5! Since this is a new program, I don’t know how long people will stay and remain monthly paying members. Of course, I hope they’ll stay forever! But I know that life happens and people grow and change so I know that some of them will move on eventually and cancel their subscriptions. In the coming months, I’ll be tracking my membership renewal rate to figure out the average number of months that a new member stays in the program. Then, I’ll be able to use these numbers to better analyze my results and ROAS from future ad campaigns. Whew! That was a lot of numbers! Did you follow all of that? I hope so because these are the important numbers to track with your marketing so that you have clarity on what works and what’s worth your time and money. Besides the numbers, there’s one other important thing I want to share with you about how my launch worked out well. Remember that live workshop that converted so well for me? That was an inspired idea. It just popped into my mind during that last week of the launch. That came because I’d been doing a TON of meditation, journaling, tapping and listening to hours of Abraham Hicks videos on YouTube. Also, the ability to focus, keep going and not give up when no one joined for the first 9 days of my Phase 2 promotion. That came from all of the Woo Woo practices that I do on the regular. Inside my Facebook group, I posted links to many of the YouTube videos and guided meditations that I used during my launch. You can join the group and check them out here. It’s totally free! I always say this and I’ll say it again. The magical mindset stuff is the X factor. There’s no way I could have had a great launch without it. See more marketing + magic in action inside my free Facebook group! I've done promos for one of my clients for the last 2 weeks with a similar strategy and we've gotten really good results both times! So, I wanted to share in case you'd like to try something similar or get my help to set something like this up! First, a little background. This client is Gael from Massage and Spa Success. She helps massage therapists grow their businesses. She's been around for awhile and has like 11,000 people on her list and almost 30,000 likes on her FB page. She also makes a lot of Facebook Lives to connect with her audience. Mindset Note: Don't think that this strategy won't work for you if you don't have as many followers or as big a list as Gael. This could work for you with a very small audience! We've been doing 4-day promos for different events or flash sales. We spent about $125 over the 4 days for each promo ($35/day). These ads are targeted to her WARM audiences. Her email list, video viewers, Facebook page engagement, and website traffic. There's no way she would get results like this from targeting cold, random people with her ads. We started out the promotion with this ad. 3 purchases came through in the first 2 days. But I noticed that the link click through rate (CTR) was only .75%. I strive for at least 1% or more CTR, so I decided to change it up for the last 2 days of the promo to see if we could get more clicks. So I switched up the copy a little bit and tested out two different images for the remaining 2 days. I chose this image because I thought it was a brighter and more fun mother/daughter picture and it would draw more attention than the first. I was right! The CTR for this was 1.36% and 4 sales came through this ad. I also tested this image and I was surprised to find that it was the winner overall! Usually, images with people tend to do better, but apparently, flowers are nice too! For this ad, the CTR was 1.4% and it made 6 sales. Also, you can notice that these last 2 ads have way more likes, shares and comments than the first version. That's another indication that this combination of copy and image are better than our first attempt. 13 purchases for a total of $871 in revenue. She only spent $123 and made back $871! This means her Return on Ad Spend (ROAS) was over 6 times what she spent. Would you pay $123 to make $871 in your business? I bet you would! And I would too. The second was a 50% off flash sale for her monthly content club membership for the first month. Cost for the first month = $10. People could also join the membership for an entire year for $157 and several did! Since we were doing another Mother's Day promo, I decided to use the winning image from the testing in the first promo. I didn't split test any other images or versions for this ad. 11 purchases for a total of $717 in revenue. 4 people bought the yearly subscription and 7 people bought monthly. She spent $135 and made back $717 so her Return on Ad Spend (ROAS) was over 5. The ad for Promo 2 had way more likes comments and shares than the ads for Promo 1. But the ads for Promo 1 had more sales and made more revenue, so that's what's most important! Make sure you are tracking the MOST important numbers to determine the success of your ad. I'm loving helping her get these sales and help her clients build their businesses! I think this is a really good strategy if you have some warm audiences. Even if they're not quite as big as hers. Which brings me to... my free guide — Facebook Ads Targeting Goldmine! If you'd like to learn how to set up all of your warm audiences and create some killer promos like I did here with Gael, just click below to grab your free guide. I’m always asking people about their goals for their Facebook ads. But I know what the ultimate goal is. You want more clients! Or customers or students. However, I’m constantly warning people NOT to start their Facebook ads by blasting random audiences with ads to buy their products and services. If you’ve got a product or service ready to sell, start advertising it to your WARM audiences. A warm audience is made of people who are already familiar with you and your business. Here are 5 warm audiences that you can target in Facebook to start making more sales and building deeper relationships. Why would you want to bother to advertise to your email list? They’re already on your list so why don’t you just email them? Of course you’re going to email your list. But you may also want to send out a strategic ad to your list occasionally. I definitely don’t read every email in my inbox and I’d guess you don’t either. The same is true for your tribe. So, if you’re doing something special like a webinar, a flash sale or a bonus for your online course, it’s very worthwhile to target an ad to your email list to make sure they know about it. People who have already visited your website are hot prospects! Maybe they found you through Google or social media. And if they cruise through your site without signing up for your list or buying, then you want the opportunity to reconnect with them and continue building a relationship. When you install your ad account’s Facebook pixel, you can create audiences of people who have visited your website and retarget them with Facebook ads. Some of my friends think this is stalker behavior. Lol. I feel like this is a solid strategy to build relationships with people who have already show interest in your expertise. Help them keep it going and take it to the next level. This is one of my favorite audiences to use. People who have viewed your videos are already warming up to you quickly. Video is such a great way for your future dream clients to get a sense of your energy, vibe and approach to your topic. When you retarget video viewers with your ads, you often get great results because this audience is quickly willing to take the next step with you. Someone lands in your Facebook page engagement audience after they have liked, shared, or commented on one of your posts or ads. Or if they have visited your Facebook page. Or if they have messaged your page. I prefer to target the engagement audience instead of targeting the Facebook fans. Why? Because these people are already engaging! And lots of them aren’t fans of your page yet. They haven’t clicked the like button yet. But they might if they see an ad from you. They also might sign up from your list or buy from you. If you have a business Instagram profile that’s connected to your business Facebook page, then you can build an Instagram engagement audience for your Facebook ads. This is an awesome opportunity to meet someone on Instagram and then connect with them on Facebook too. Having multiple touch points to connect really helps people to start recognizing and remembering you. So how do you create these audiences and then set up your ads to target them? I just created a brand new cheat sheet to take you through the audience-creation process step-by-step! Download your Warm Audiences Cheat Sheet here. This cheat sheet will take show you, step-by-step, how to set up each of these warm audiences inside the Facebook ads asset library. These are some of the MOST important actions to take to start making money with your ads.